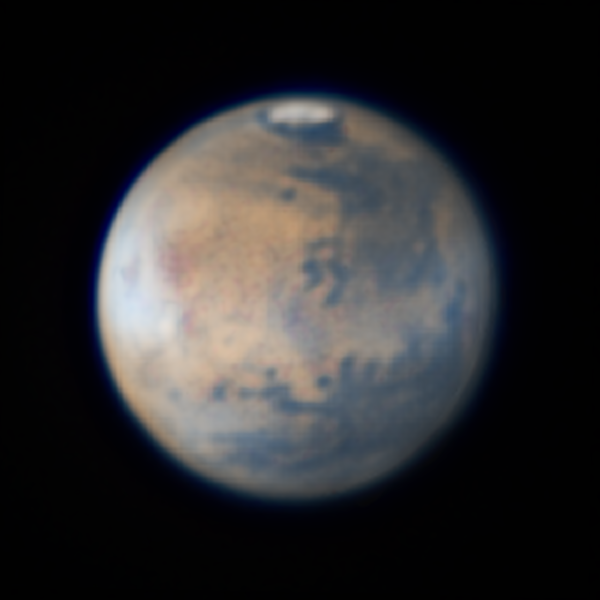 Alt 43°, Apparent diameter 13.18"
a composite of 4 images, the two Red images and the two NIR images. limb of the planet is a function of the wavelength captured (and of the diameter of the OTA). By combining the R and NIR images this ring artifact was averaged out.